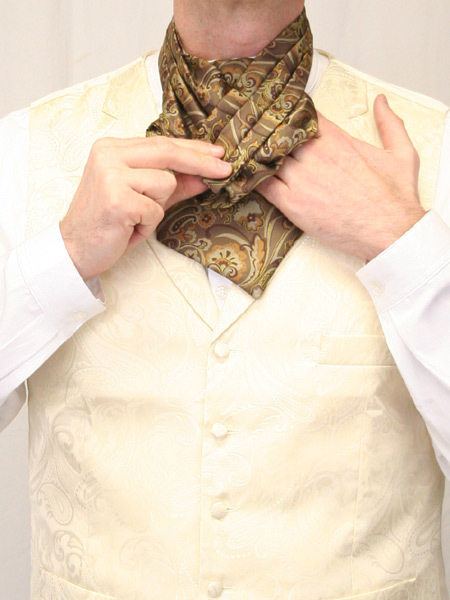 Drape the ascot around the neck, with the ends in front of you, as shown. Note that one end has a loop (the slip-knot) and the other end is long and flat. Put the flat end through the slip-knot. Pull the flat end all the way through the slip-knot. 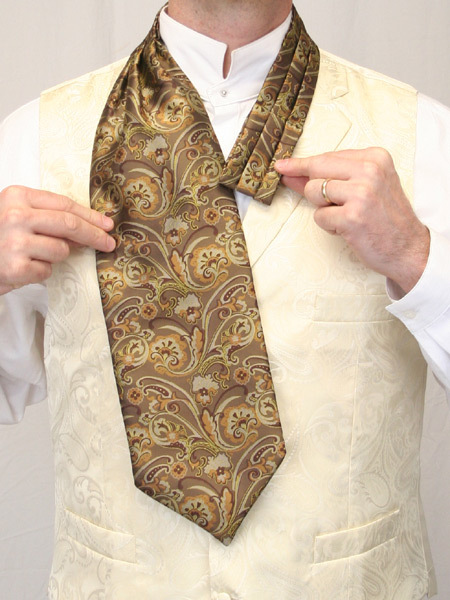 Pinch the slip-knot in place with one hand, and use the other hand to gently push the flat end of the tie up and behind the loop around the neck. 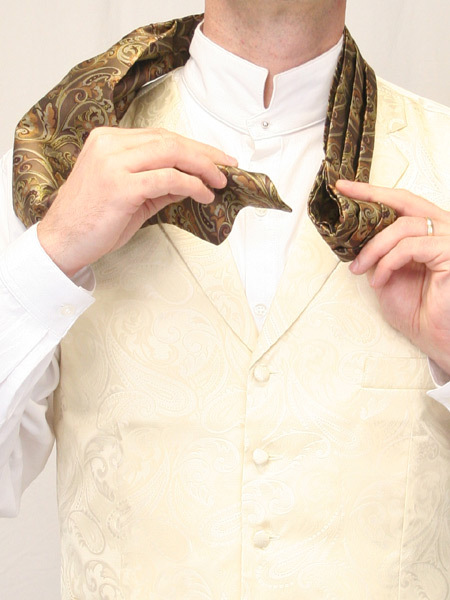 Continue holding the slip-knot in place. 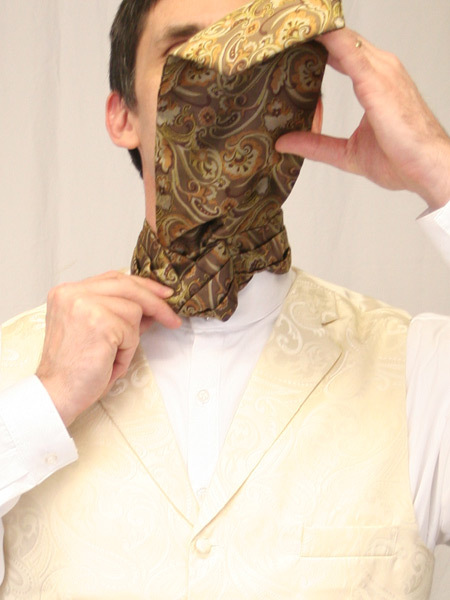 Tuck the flat end against the neck behind the loop, so that it can be grasped and pulled up. 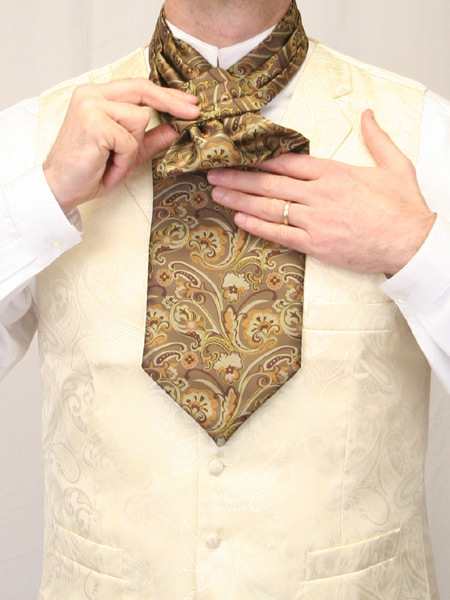 Gently pull the tie up behind the loop around the neck. 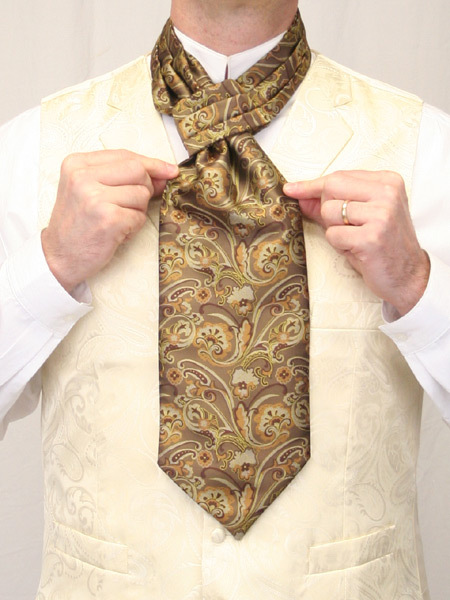 Pull the tie all the way through. 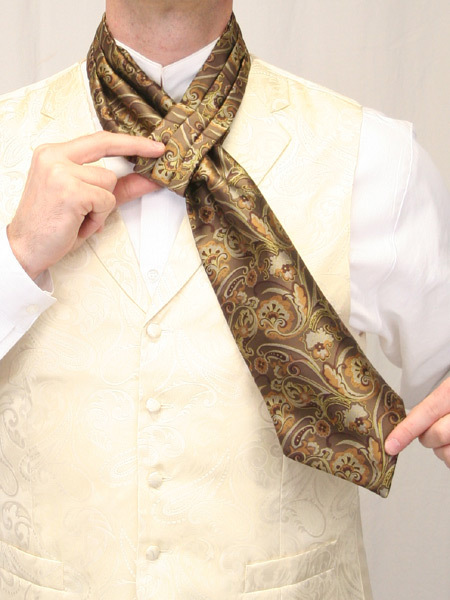 Once it is through, straighten it so it will drape correctly. This may take a bit of practice. Adjust the slipknot so it is snug but not uncomfortable. 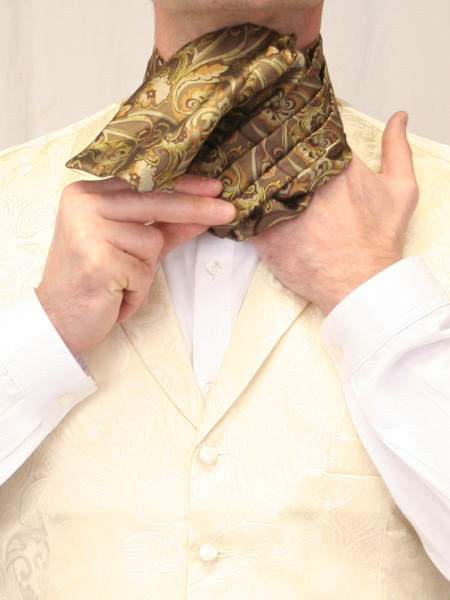 Drape the flat end of the ascot forward, covering the slipknot. Be sure the flat end lays straight, as shown. 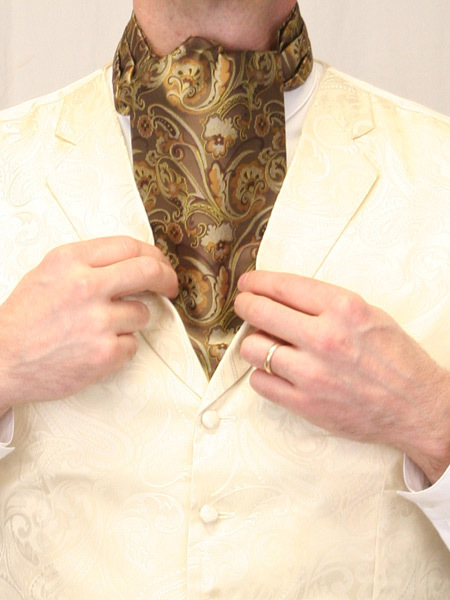 Tuck the ascot down inside your vest. 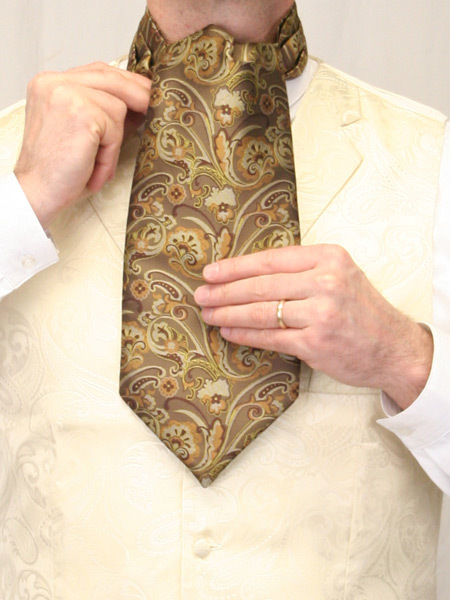 Finish with a tie tack or stick pin, and you’re ready to go!